SKU: 0 906602 920 . Category: History & Biography Titles. 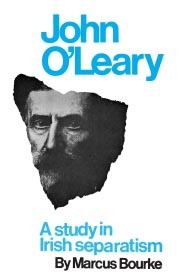 Tag: Leahy. 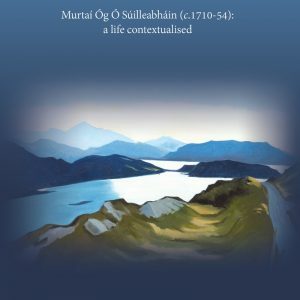 With the exception of a few of the major figures, there have been relatively few publications on the individuals who made up the land surveying/civil engineering profession in Ireland in the first half of the 19th century. 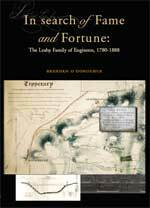 This book breaks new ground by describing in detail the careers of one family of engineers who worked in Ireland between c.1800 and 1847, and afterwards in South Africa, Turkey, Trinidad and Jamaica. Patrick Leahy (1780–1850), father of Archbishop Patrick Leahy of Cashel, worked on road, railway and canal schemes in Ireland and prepared a significant number of manuscript maps of country estates and urban areas, some of which are brought to notice for the first time. He and his son, Edmund, were among the first group of county surveyors appointed in 1834 and served until 1846 in the East and West Ridings of Cork where they were responsible for the construction of a significant number of roads and bridges, most of which are still in service today. Simultaneously, and with two other members of the family, Denis and Matthew, they conducted a substantial private practice in engineering, and acted as contractors on public and private projects, including workhouses in Tipperary, Waterford and Kerry, and the Tralee ship canal, now being restored. Having left Ireland in 1847, the Leahys worked on railway, mining and other projects in South Africa, Eastern Europe and further afield. In the 1860s, Matthew and Denis Leahy served in succession as Colonial Engineer in Trinidad where they both died. In Jamaica, where he was serving as Colonial Engineer and Architect, Edmund was dismissed following his involvement in a major tramway scandal on the eve of the rebellion of 1865. On his return to Ireland, he played a major part in the Cashel election of 1868 which led to the disfranchisement of the borough because of the extent of the corruption which was found to have prevailed there. 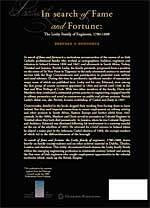 In describing the activities of the Leahys, the book draws heavily on family correspondence and on valuable archival material in Dublin, London and elsewhere which has not hitherto been exploited to any significant extent in the study of engineering and infrastructural development in Ireland in the 19th century. This material includes holdings in the National Archives of Board of Works’ records, plans and drawings relating to the early part of the century; the large volume of material available in the Chief Secretary’s Office Papers relating to engineering in Ireland in that period; and the substantial amount of material to be found in the British Colonial and Foreign Office papers relating to men who trained and worked as engineers in Ireland in the first half of the nineteenth century before leaving to take up positions in the colonies and elsewhere.